Good news phone fans! You can expect the OnePlus 5 launch to take place very soon, after the Chinese startup confirmed it will release its next flagship handset in the summer of 2017. You may be confused why there is no OnePlus 4 - but the thinking is that as the number four is considered unlucky in the company's home country of China it's opted to skip straight to five. It's no coincidence that the OnePlus 5 will also be the firm's fifth flagship phone (if we ignore the short-lived OnePlus X). The news was initially revealed to The Verge, but a OnePlus spokesperson has since told TechRadar that they "can confirm the next device will be the OnePlus 5." We don't have a specific OnePlus 5 release date either, so it may still be a few months away, although we're hoping it won't be as late as August or September. According to OnePlus, the company didn't name the OnePlus 5 such because it's the fifth flagship phone from the company. 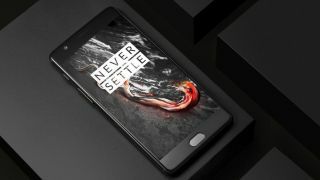 It was apparently inspired by the former NBA player Robert Horry who had a number five jersey and is a popular player among OnePlus employees. Leaks for the OnePlus 5 have been coming thick and fast with us hearing about a rumored dual-lens camera, 5.5-inch QHD display and 4,000mAh battery.